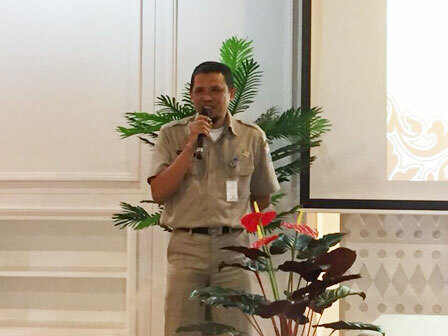 Jakarta BUMD Coaching Agency (BPBUMD)'s Infrastructure and Industry Area Division Head, Budi Purnama wants all Jakarta BUMDs to improve cooperation between BUMDs.
" Improving cooperation between BUMD is important in giving the best service to people"
"Improving cooperation between BUMD is important in giving the best service to people," he stated while meeting him at PT. Jakarta Utilitas Propertindo office. Besides, cooperation between BUMDs is hoped to be a mutually beneficial cooperation, especially in improving each BUMD's service and revenue. He also appreciates two BUMDs, PT. Jakarta Utilitas Propertindo and PT. Jaktour, which have signed Memorandum of Understanding (MoU) related to parking lot management on Monday (4/17). "Mutual cooperation is important thus no one will suffer a loss. Of course we will support cooperation between BUMDs in the future," he stated. Jakarta Utilitas Propertindo Director, Chairul Hakim admitted, his side will continue to improve cooperation with other BUMDs. "We plan to cooperate with JIEP which also relates to parking lot and now we are still reviewing it," he informed.